Motorola has been teasing about the launch of Moto G7 in India for quite some time. Now the company has revealed that it will be launching the Moto G7 on March 25, Monday in India. 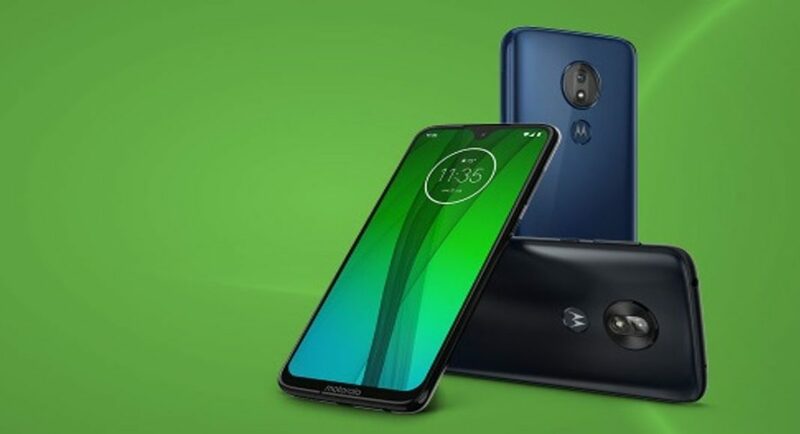 With the Moto G7, the Lenovo-owned company will be bringing another device in the Moto G-series. The first being the Moto G7 Power that was launched last month. The new Moto G7 is a mid-segment device powered by the Snapdragon 632 SoC and it packs a full HD+ display. Although the launch date of the device has been revealed by the company, it has not said anything about the India price of the device. Even the launch offers and the availability of the device have not been revealed by the firm. However, when launched globally, the Moto G7 held a price tag of $299 (approximately Rs 20,700). So, we can assume that when launched in India, the Moto G7 will be priced around the sub-20K range. Also, it is still not clear if the launched device will be sold exclusively through online channels or through retail stores or through both. The Moto G7 comes in Ceramic Black and Clear White colour options and it also has a 3D glass build with a layer of P2i water repellent coating on it. The Moto G7 sports a 6.24-inch Full HD+ (2,270 x 1,080 pixels) resolution Max Vision display with an aspect ratio of 19:9 and a pixel density of 403ppi. The display of the device comes protected with the Corning Gorilla Glass 3. As said before, the Moto G7 is powered by a 1.8GHz octa-core Qualcomm Snapdragon 632 SoC coupled with 4GB of RAM. The device holds 64GB of internal storage and can also support microSD card up to 512GB. The Moto G7 packs a 3,000mAh battery with 15W TurboPower fast charging support. For photography, the Moto G7 comes with dual-rear camera setup, which comprises of a 12MP primary sensor with an f/1.8 aperture paired with a 5MP secondary sensor with an aperture size of f/2.2. On the other side, at the front, there is an 8MP selfie camera with an f/2.2 aperture. Other features of the Moto G7 includes 4G VoLTE, Bluetooth v4.2, Wi-Fi 802.11 a/b/g/n, GPS/ A-GPS, a 3.5mm headphone jack, along with a USB Type-C port. The device’s dimensions are 157 x 75.3 x 8mm and it weighs 172 grams.